A Day of Reckoning...Put Off/Put On! Today is a Day of Reckoning...but not how you think! Usually we use that term to mean to give an accounting, a calculation, a settlement of accounts. In fact according to Wikipedia, it can mean a host of things from the Final Judgment Day to heavy metal albums and Nintendo games. In my last post, I described how I got free from the LIE that held me captive. As you may remember, it was by considering myself (reckoning) to be dead to it, because IAM dead to it through my union with Christ in death, burial, and resurrection. How this can play out in the life of a believer in a practical way is found in Paul's letters, especially to the Colossians and Ephesians. There he uses the imagery of clothing to show what reckoning yourself dead to sin, self, flesh, legalism, and the lies of the enemy looks like in real life. Paul then shows what it looks like to live alive to God. It's all wrapped up in the key words put off and put on. Taking off clothing and putting on other clothing are things we do everyday. We hardly even think about it (except to chose our outfits ). Let's compare this to the spiritual activity of living from the life of the indwelling Christ each day. Let me illustrate from my own "world of fashion". 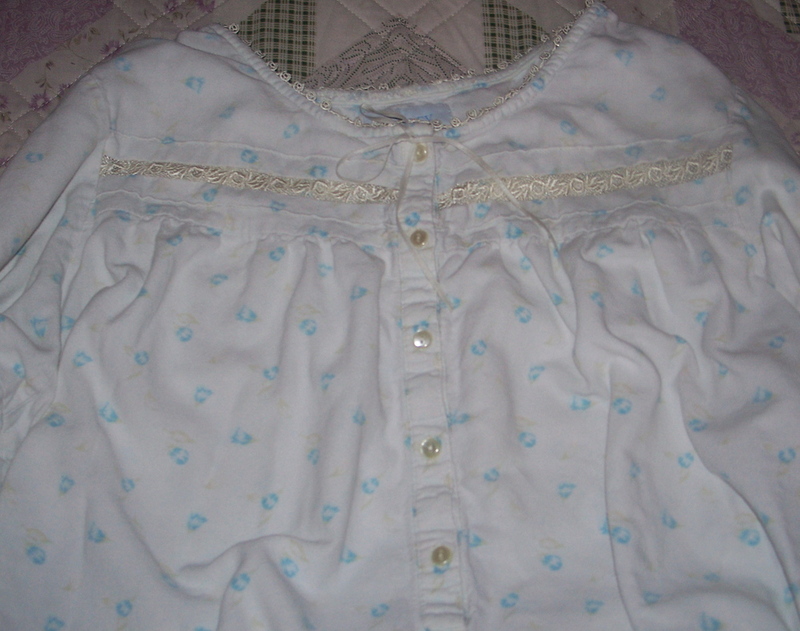 About 15-20 years ago, I bought a beautiful nightgown to keep me warm and feminine in the cold Ohio winters. I've loved that nightgown! I could wrap myself in it and be cozy and comfortable. And despite the fact that it's faded and worn, I've had a hard time giving it up to the ragbag. Every year as the weather has turned colder I've taken it out of said bag to put it on "just one more year". Now my husband is not a rich man, but he is a good provider and has enabled me to have other beautiful options. But they are not as comfortable to my "flesh" as that old "friend". Yet in reality, that old rag is not consistent with who I am as John's wife...a well-loved and cared for woman. I just have a hard time putting on those new gowns. So out "she" comes for yet another season. Your old life is dead. Your new life, which is your real life...is with Christ in God. He is your life. And that means killing off everything connected with that way of death: sexual promiscuity, impurity, lust, doing whatever you feel like whenever you feel like it, and grabbing whatever attracts your fancy. That's a life shaped by things and feelings instead of by God...bad temper, irritability, meanness, profanity, dirty talk. Don't lie to one another. You're done with that old life. It's like a filthy set of ill-fitting clothes you've stripped off and put in the fire. Now you're dressed in a new wardrobe. Every item of your new way of life is custom-made by the Creator, with his label on it. All the old fashions are now obsolete.